MANILA, Philippines - Hundreds of drug pushers have already been arrested and thousands have voluntarily surrendered to the authority in barely three weeks since the tandem of President Rodrigo "Rody" Duterte and Gen. Ronald "Bato" Dela Rosa have officially declared a war against illegal drugs. Still, the PNP Chief is aiming to totally wipe out all types of crimes in the Philippines. This morning, July 18, the Philippine National Police (PNP) - Police Community Relations Group (PCRG) has announced that "Text Bato" hotline will be launched in few weeks time. 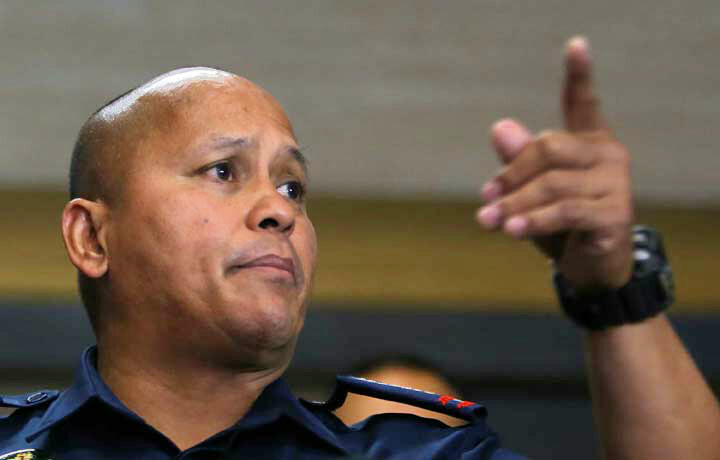 PNP Chief 'Bato' dela Rosa: "Itaga mo sa bato" aims to wipe out all crimes in the country. PCRG Director Sr. Supt. Gilbert Cruz explained the main function of the most awaited and exciting project of the entire PNP where citizens can report all the crimes happening in their areas. The mobile app which will be dubbed as "itaga mo sa bato" serves as a tribute to the tough-spoken General is expected to roll out in exactly forty five days. Cruz reiterated that the app doesn't only cover drug-related crimes but also applicable to other illegal activities in the country. A space inside Camp Crame will be converted into a call-center like office where agents await and entertain all incoming complaints and reports that will immediately be forwarded to the specific police precincts nationwide after all necessary details have been gathered. "Ito ay talagang seryoso at hindi ito ningas-kugon na sa umpisa lang. Pipilitin namin na magkaroon ng sistema sa reporting, para naman hindi lang sa time ni PNP chief Dela Rosa, kundi sa mga darating o susunod pang PNP chief,” said Cruz. Earlier last month, President Duterte assured the public that emergency hotline 911 will also be available countrywide just like what he has implemented in his hometown in Davao City where civilians can dial in the famous digits to seek for any assistance from the police, fire and medical departments of the government in case of emergency. Duterte also promised to set up "8888" action center which is designed to assist all Filipinos who experience graft, corruption and all kinds of abuse from the hands of his government employees. The said action phone number will be manned by ten agents who are on standby twenty four hours a day, seven days a week. Duterte's propaganda of eliminating crimes and corruption in the country in three to six months are slowly but steadily being executed in benefit of all filipino people. Few years from now, Philippines will once again steal the international limelight and will be the go-to-vacation-spot of every tourist around the globe for its peace, order and natural beauty.